NZTA defines a "power assisted cycle" as a bicycle that "has an auxiliary electric motor with a maximum power not exceeding 300W and is designed to be primarily propelled by the muscular energy of the rider" . The rules for standard bicycles apply to power assisted cycles. eBikes with power above the 300w level are classified as mopeds and are subject to registration etc. This Policy is concerned with electric assist bicycles (eBikes) that fulfill the NZTA definition of a power assisted cycle. In Europe, eBikes are commonly referred to as Pedelecs. Attract "interested but concerned" potential cyclists, overcoming doubts about physical abilities. Allow existing cyclists to continue cycling despite age, health etc, and allow less able cyclists to continue riding with groups of more able friends. Make cycling easier in hillier and windy areas, such as Wellington. Because of their convenience, ability to carry loads, and lack of need for physical effort, eBikes provide a realistic alternative to motor cars in many situations. In multilane urban roads, eBikes can be ridden at a similar speed to motor vehicles, making for safer and more confident manoeuvering. Inbuilt power potentially leads to technological improvements compared to standard bikes, e.g. better lights, indicators, antiskid braking, etc. In general, eBikes that meet the NZTA definition for power assisted cycles should be treated in the same way as standard bikes. eBike technology and use is evolving, and we need to ensure that regulation does not affect or inhibit innovation. A code of practice approach is preferred to regulation at this point. This policy proposes two codes of practice (Appendix): one for suppliers of eBikes, and one for users of eBikes. eBike users are vulnerable road users and should have access to cycle facilities such as separated cycleways, and shared and off road paths. Like standard bikes, eBikes must be ridden with consideration for other users, particularly on shared paths. Policy: eBikes should be allowed on cycle facilities, under the same conditions as standard bikes. eBikes are heavier, and generally have a different weight distribution compared to standard bikes.eBikes tend to be ridden slightly faster - a German study found that eBikes were on average ridden 2km/hr faster than standard bikes (Schleinitz et al 2014). A study of hospital admissions in the Netherlands (Schepers et al 2014) suggests that electric bike users have a higher crash rate than users of standard bikes, although Otte et al 2014 did not find a difference in accident rates. It would be wise for new users to have training in the different characteristics of eBikes. Lewis (2012) provides a useful checklist of skills for eBike users. Policy: New eBike users should be encouraged to have training. Cycle training programmes could consider having specific cycling courses for eBike users, and conversion courses for riders of standard bikes who have acquired eBikes. The EU BS EN15194 standard is an influential standard for eBikes. It has been adopted in Australia, and the report of the Cycling Safety Panel (Safer Journeys for people who cycle) suggested that the EU standard be considered for adoption in NZ. The EU standard defines eBikes/Pedelecs as "electrically power assisted cycles of a type which have a maximum continuous rated power of 0.25 kW, of which the output is progressively reduced and finally cut off as the vehicle reaches a speed of 25 km/h, or sooner, if the cyclist stops pedalling". The specific requirement for the user to be pedalling is intended to ensure that pedelecs are pedal assisted, rather than motorised. However in practice a 300w eBike is very limited in speed unless assisted by pedalling. There are three areas where the EU standard may not be appropriate for NZ conditions. The 25km/hr automatic cutout may be appropriate for European conditions, where use of eBikes is likely to be on low speed streets and bike paths. However in NZ an advantage of eBikes is that they allow users to ride at slightly higher speeds, up to 30km/hr which is similar to motor traffic in multilane urban roads, and the automatic cutout may not be appropriate. The EN15194 definition has been interpreted to exclude hand controls (throttles). However using a hand control in conjunction with the power assist settings can be safer, more economical and more convenient than relying on the power settings alone.The lack of hand control may be less of an issue with newer eBikes with more sophisticated power controls. The limit of 250W may limit the ability of eBikes to carry loads, without a significant safety benefit, compared to the current NZ standard of 300W. Policy: The EU standard should be evaluated for NZ conditions. If the EU standard is introduced, it should only apply to new eBike sales so that users of existing eBikes are not penalised. There are concerns about policing the 300w power limit. It could be difficult for a police officer or ranger to determine whether an eBike motor is 300W or less. There is also a potential problem with "over amping" - modifying the eBike system so that a nominally 300w motor is delivering more power. Adoption of the EU standard may simplify the identification of eBikes that conform to the standard. Policy: The code of practice for eBike suppliers should encourage ways to make motor power obvious, e.g. a standard sticker similar to the Energy Star, and the Code of Practice for eBike users should discourage modifying the power output of an eBike. Children may have trouble safely controlling the weight and speed of an eBike. However there does not seem to be a problem currently with eBike accidents and children, and eBikes are not that attractive to children. Policy: Code of Practice for eBike users should discourage the use of eBikes by riders under the age of 12. There is potential for increased wear on tracks if power is used carelessly. The greater speed and weight of eBikes poses risks on tracks with narrow widths, steep gradients or poor sight lines. People riding and walking in natural environments such as national parks may feel that eBikes compromise their wilderness experience. The General Policy for National Parks makes a distinction between human powered and motorised vehicles, and use of eBikes in national parks risks blurring this distinction and endangering access for mountain biking. A wide route with low gradients and good sight lines such as the Otago Rail Trail is appropriate for eBikes. However steep single track routes, or routes in a natural environments such as the Heaphy may not be. There is not yet a consensus in the mountain biking community regarding the appropriate use of eBikes (e.g Kennett and Flaunty 2014). At this stage it is best to suggest criteria which can be used to evaluate whether a specific route is appropriate for eBikes. eBikes with power in excess of 300W should not be used on mountain bike trails. The Code of Practice for eBike Users should encourage the use of appropriate trails, and consideration of the safety and experience of other users. Currently public transport operators treat eBikes in the same way as standard bikes - for example on the Wellington rail system no issues have been raised when carrying eBikes on the train. However this is not generally explicit in the rules for bicycles on public transport. A problem arises for cycle tourists attempting to fly to a destination with their eBike. Airline dangerous goods rules exclude lithium batteries of more than 160 watt hour capacity and eBike batteries generally have a capacity greater than that. This means that an eBike cycletourist needs to have the battery land couriered to their destination. This restriction appears to be part of general aviation rules and it may not be practical to get this changed. Policy: Public transport operators should carry eBikes on the same basis as standard bikes. While existing eBike batteries adequately support normal commuting, there could be demand for charging stations, or battery swap systems. Solar charging via panels embedded in bike paths may be a possibility in future. Policy: public charging stations should be encouraged. The industry should develop a standard identifier (e.g. 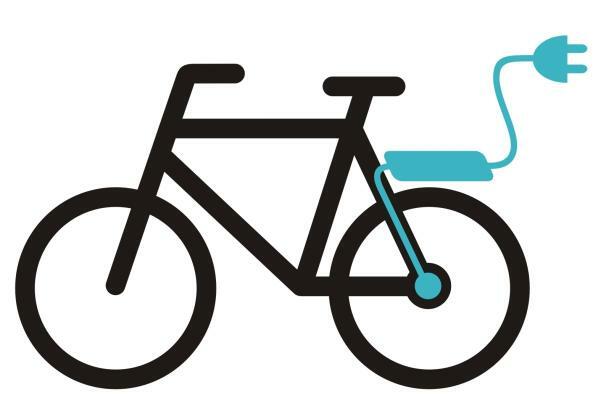 a sticker) for eBikes that meet the NZTA definition of a power assisted cycle. Customers should be made aware of the requirements for registration etc for electrically powered bikes that exceed the 300W limit. Purchasers of eBikes should be encouraged to undertake training in handling their eBike, and be made aware of the differences in power, speed, and handling. New eBike purchasers should seek out training; or at least make themselves aware of how the power, speed and handling of the eBike differs from a standard bike. When using paths shared with pedestrians or other bicycles, eBike users should behave with consideration to other users. For example, eBike users should keep to a speed not significantly greater than other users, and warn of their approach, for example by using a bell. Children younger than 12 should not use eBikes. eBikes should not be ridden on mountain bike tracks where this is prohibited. eBike users on mountain bike tracks should be considerate of the safety and experience of other users, and should avoid damaging the track. eBikes should not be modified to deliver average power greater than 300w unless the bike is registered as a moped. British & EU Standards: BS EN 15194:2009 Cycles. Electrically power assisted cycles. EPAC bicycles. Cycles. Electrically power assisted cycles. EPAC Bicycles. BS EN 15194:2009+A1:2011. CAN members express strong interest in eBikes (2014). Electric Bike Hub (2014) Overamped E-bikes endanger Us All. General Policy for National Parks (2007). Intelligent Energy Europe (2010) PRESTO Cycling Policy Guide Electric Bicycles. Lewis, T. (2012) Information on pedelecs for municipal decisionmakers. Otte, D, Facius, T, Mueller, C (2014) Pedelecs in road traffic accidents and comparison to conventional non-motorized bicycles. VKU Verkehrsunfall und Fahrzeugtechnik 52:48-60. Parker, AA (2011) In Europe 250 watt pedelecs reduce pollution and improve the safety and mobility of young and elderly riders. Australasian Transport Research Forum 2011 Proceedings. Safer Journeys for people who cycle - Cycling safety panel draft report and recommendations (2014). Schepers J.P. et al. (2014) The safety of electrically assisted bicycles compared to classic bicycles. Accident Analysis and Prevention. Schleinitz, K et al (2014) The German Naturalistic Cycling Study: comparing cycling speed of riders of different e-bikes and conventional bicycles. 3rd International Cycling Safety Conference (ICSC2014), 18-19 November, Gothenburg. All internet references have been last accessed on 27th October 2015.